Limited advertising is available on WhiskyCast; please contact Christina Philburn at christina@caskmedia.com for a media kit which contains more information on availability, analytics, rates, asset requirements, and advertising and editorial policies. Agencies, please allow two weeks for RFP processing. CaskStrength Media bundles platforms together as value-adds to the advertising buy of brand partnerships on podcasts. Therefore, website banner advertisements are available only as part of a package except for emerging brands, events, and small businesses. 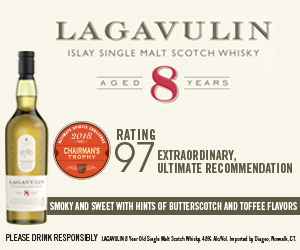 Banner ads on the Resources pages of WhiskyCast.com are available for whisky shops and bars; please contact us for details. Emerging brands are defined as: whisky brands with sales of no more than $3 million USD per year or production of fewer than 50,000 cases annually with ownership actively involved in the production process; distribution in home country and no more than five other countries. May not be owned by a larger spirit/drinks company. WhiskyCast Tasting Panel sponsorship packages are restricted to small brands. Small brands are defined as whisky brands with annual sales of less than $15 million USD or annual production of less than 100,000 cases of whisky, owned primarily by individuals or partnerships. May not be owned by a larger spirit/drink company. No advertising space will be held without a signed insertion order, and CaskStrength Media limits the number of brand partnerships available in all platforms. All advertising packages must be paid for in full prior to insertion. To find out more, see our Advertising & Editorial Guidelines.